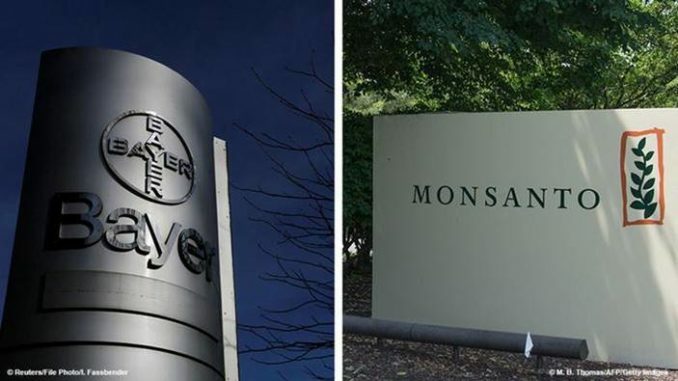 It is now of global knowledge that Bayer, the German pharmaceuticals giant, has completed its takeover of Monsanto, America’s leading pro- GMO company. As reported in the media a few weeks ago, shareholders of Monsanto accepted Bayer’s buy over prize of $128 per share in Monsanto, making the deal worth $66 billion, including debt. The deal is said to have been negotiated for more than four months and is also believed to be the largest corporate takeover in almost two decades for a German company. The latest bid offered by Bayer is 22 percent and is said to be above Monsanto’s closing price on the New York Stock Exchange. The offer was finally sealed on Wednesday, September14, 2016. The acquisition of the leading GMO maker will make Bayer the world’s biggest seed and pesticide producer and it is expected to invite close scrutiny by antitrust regulators. The deal Bayer signed included a fee of $2 billion, should the transaction fail to get regulatory clearance as planned and should be closed by the end of 2017. Observers say that the deal will potentially leave just a few large global players in the crop and seed industry. Both companies are known to produce pesticides, and that means that together, the two companies would control about 28 percent of the global pesticide market. Global reactions on the deal have since been expectedly varied. Among the earliest was the European Union’s antitrust agency which quickly stated that it would conduct a strict review of Bayer AG ’s plans to buy rival Monsanto Co. “Our final decision [on the Bayer-Monsanto deal] must strictly and impartially apply European merger control rules,” said Ms. Margrethe Vestager, an EU commissioner, in a letter dated June 20, to two members of the European Parliament. The letter was posted on the Green Party’s website. The European Union anti-trust chief, Vestager stated that farmers must continue to have a choice when buying seeds and pesticides after the merger between Bayer and Monsanto. Vestager added that the agriculture market was already very concentrated with a small number of global players dominating the industry. Sven Giegold, a Green member of the European Parliament from Germany, was reported to have worked on an online petition to stop the Bayer-Monsanto merger. Giegold says agrochemical consolidation is out of control, and is putting the future of farming at risk. The European Union must draw a line in the sand with this merger, he insists. It should be noted that the European Commission has the power to block the deals or demand the parties submit remedies. 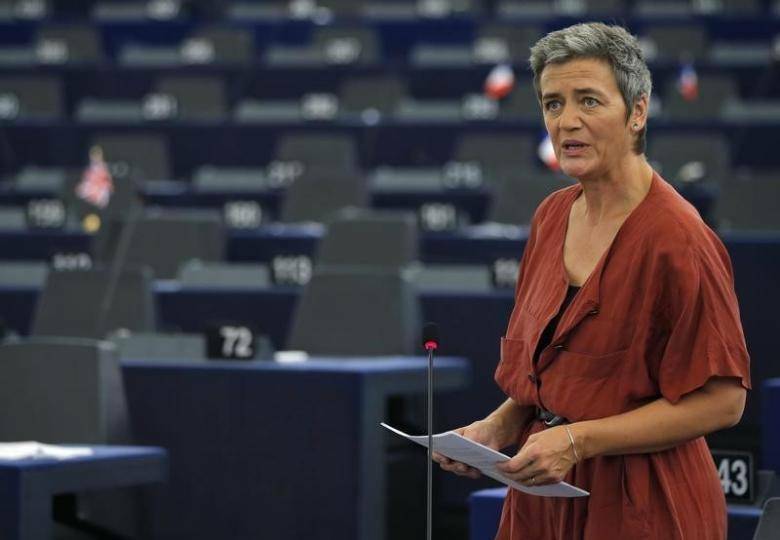 Green Party lawmakers, Martin Haeusling and Sven Giegold, also called on Ms. Vestager to reject the merger on both “competition and political grounds” in a letter dated from late May. “It’s clear that [Bayer’s] takeover of Monsanto, the market leader in seeds, would lead to further market concentration, displacement of other producers and less competition, not only in the EU, but world-wide,” the lawmakers wrote. Ms. Vestager said she would heed their warnings. “In our investigation, we will take into account your concerns about the effects of the Bayer-Monsanto merger on prices, the variety of available seed products as well as research and innovation,” Ms. Vestager said. 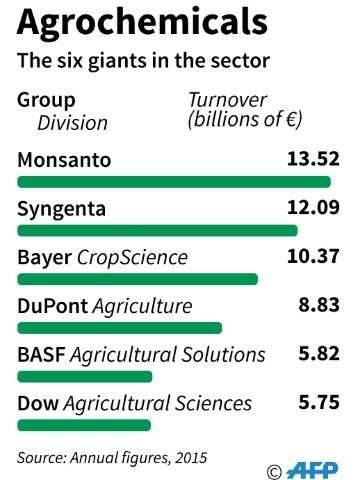 But there has been speculations that Monsanto’s takeover by Bayer could create a GMO alliance too powerful for Europe to resist, while conveniently “disappearing” a tarnished brand. Probably from next year, the annual environmentalists’ “March Against Monsanto” will no longer have a Monsanto to protest against. Although opponents are pinning their hopes on the European Commission in Brussels, which still must approve or reject the merger. Civil society groups are also said to be planning a symbolic “tribunal” against Monsanto this October in The Hague. There will be no representative of Bayer or Monsanto at the event, but the activists hope to attract public attention to what they feel are the dangers presented by the newly enlarged agrochemical giant. Jan Pehrke from the German non-governmental organization Coalition Against Bayer-Dangers also confirmed that the Coalition Against Bayer-Dangers will indeed rename the March Against Monsanto to the March against Bayer. But can these efforts effect any change in the merger? 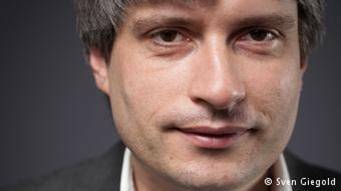 Pehrke has said that a rejection is highly unlikely. “I think we can’t stop the merger at this point, it’s done,” he says. Perhke noted that it has been harder to make the public aware of Bayer’s pesticide activities because it is involved in more diversified activity than Monsanto – which deals mostly in seeds and GMOs.”We have tried to put the focus not only on Monsanto, and to let people know that behind Monsanto there are many agrochemical multinationals which are very big and also have very dangerous products,” he told DW. 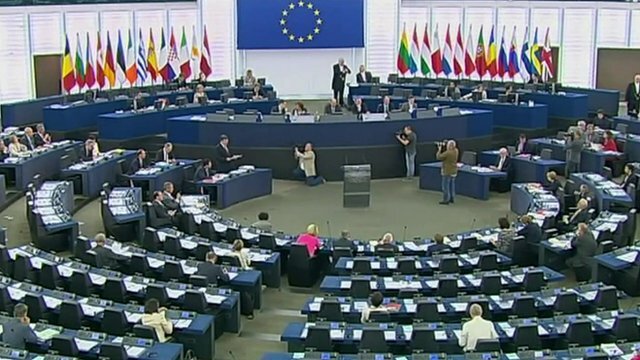 He worries that with the relatively less-tarnished and more politically powerful Bayer name behind the Monsanto GMO products, the European Union will not be able to maintain its Two-thirds of EU states to ban GM crop cultivation de facto moratorium on growing genetically modified crops. “We are now afraid that if a big German enterprise like Bayer is so big in GMOs, there will be more pressure to put GMOs on the EU market”, he concluded. And the EU ban on genetically modified crops may be subjected to review. The reaction has been particularly strong in Germany, where the German public is widely opposed to genetically modified crops. Monsanto pulled out of the GMO market in Europe years ago because of the EU’s de facto moratorium on growing such crops. But the company continues to be involved in importing GMO crops into the EU. Will Europe block or enable GM crops for sustainable development? Europe helped invent agricultural biotechnology, but has done more than anyone else to thwart genetically modified (GM) crops. Will Europe’s cold shoulder prevent urgent agricultural modernisation in developing countries? Will Europe’s scientists ever see their innovations take root? What can Europe learn from other countries’ experiences? How can science reclaim its seat at the table? The excerpt below is from ISAAA’s Crop Update of October 5, 2016 and it forges this argument. 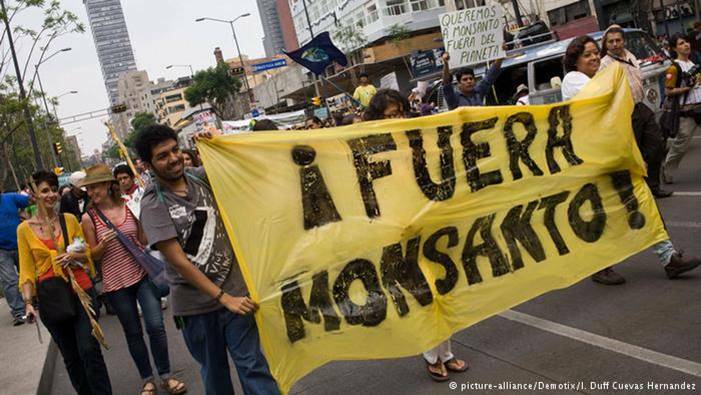 Monsanto has become the main target of the anti-GMO movement globally – particularly in Europe, where it faces ongoing controversy over its most widely-used weed killer glyphosate, which environmentalists continue to seek to ban. Although EU authorization for glyphosate ran out this past June, the European Commission gave it a provisional extension, for 18 months. 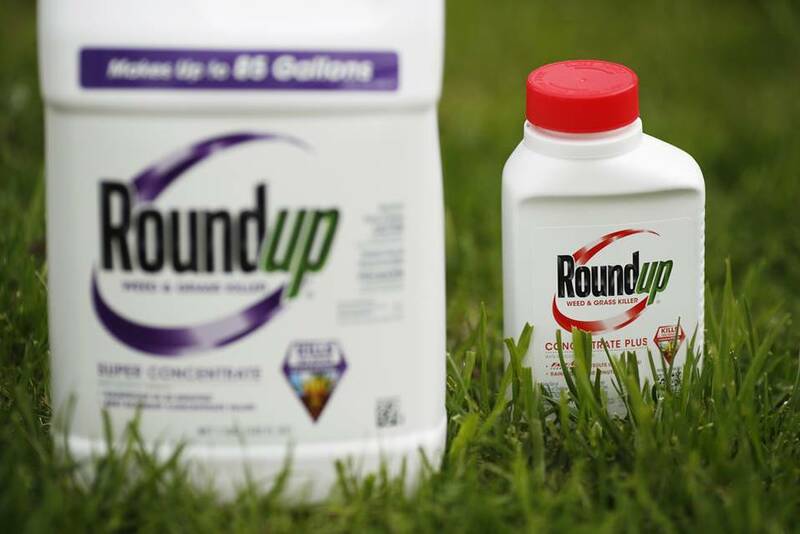 On their part, Bayer executives appear keen to avoid early mistakes that led to Monsanto’s image problem in Europe such as a lack of engagement with policy-makers and environmental groups. 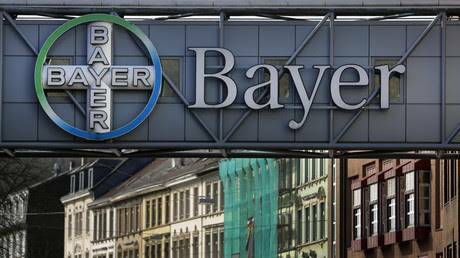 Bayer chief executive Werner Baumann told the “Frankfurter Allgemeine Sonntagszeitung” that the company is inviting campaigners to talk to Bayer’s management. “As much as I talk to our investors to convince them of the plans, the offer also stands for environmental groups and other non-governmental organizations,” he had told the newspaper. “Our way of doing business may differ from the way Monsanto does. I can assure you that we would conduct these businesses based on the same standards as our other operations”. Bayer was founded in Germany in 1863 as a maker of synthetic dyes for textiles before expanding into pharmaceuticals. It is still best known for making aspirin. Over the years the company grew through a series of acquisitions, becoming a drug and chemicals giant. Today, Leverkusen-headquartered Bayer has annual revenues of more than 45 billion Euros and more than 100,000 employees worldwide. Monsanto, the public face of GMO, was established by pharmacist John Queeny in 1901 in St. Louis, Missouri to produce saccharine. In 1976, it launched probably its most famous product, the weed killer Roundup. In the 1980s, its scientists were the first to genetically modify a plant cell. Monsanto then started buying other seed companies and began field trials of genetically modified seeds. It eventually developed soybean, corn, cotton and other crops that were genetically engineered to be tolerant of Roundup. Monsanto has embraced biotechnology since its infancy. It commercialized the first genetically modified soybean and cotton varieties in 1996 and widely licensed its crop genes to rivals. Today, Monsanto has annual revenues of some $15 billion and some 25,000 employees. Bayer, better known for its health products but also a prominent figure in the European agro-industry, wants to stake out a dominant position selling seeds and pesticides to farmers around the world. Monsanto agreed to sell itself to Bayer in a $57 billion deal that would forge a new agricultural force. How does the merger affect Africa? But what does this world’s largest agribusiness mean for African farmers, where Monsanto is also active? What are the likely risks arising out of this merger and how will it affect farmers in Africa? How independent will an African farmer be once these global Giants penetrate the market? What opportunities are there for Africa? These are some of the probing issues arising from the merger. Many experts say that Bayer’s takeover of Monsanto may lead to a global monopoly in the production of agricultural supplies. Mariam Mayet, executive director of the African Centre for Biodiversity in South Africa, told DW that the merger could also have a negative impact on both farmers and consumers in Africa. Looking at what happened in Burkina Faso, she continued, cotton seeds companies were more open to doing business with Bayer. Monsanto has a very tainted record in Africa. It has a very bad public relations image because of the way they dismissed consumer concerns. They just have an appalling track record and they are very much hated by consumers and environmentalist across the world. I think that Bayer will want to distance itself from that image but not the product. It’s possible that they may give the seed and agriculture chemical component of this conglomerate a new name and a new branding, she said. We anticipate that these renewed economic force and power in Africa, bringing together the seed and agrochemicals industry, will result in a bigger push for African governments to deploy GM technology and the greater use of agrochemicals in African agriculture particularly with maize, soya bean and cotton she said. Predictably, this global biotech’s rise in farming has sparked pushback from environmental and consumer groups but the World Health Organization and the U.S. Food and Drug Administration have vouched for the safety of biotech crops. Other African experts also explained that it can impact favorably on the biodiversity and improve the vegetative forest which acts as carbon-sink to reduce the effect of carbon dioxide in the depletion of the ozone layer to prevent climate change. With regards to appropriate regulation by African policy makers, it is believed that the merger would not affect biosafety regulation in Africa particularly Nigeria as the biosafety agency is not tied to any company or organization. Against various speculations, it is assumed that this merger should not further impoverish Africa and marginalize small-scale farmers neither shall it undermine Africa’s raw genetic diversity and the strong systems that farmers have built to increase diversity and nutrition security. Let’s wait and see what happens.